I’m delighted to share with you all that I have been asked to preach at the Saying Goodbye service at Canterbury Cathedral on the 6th of July. Saying Goodbye is a superb charity that each year organises a whole series of services up and down the country in Cathedrals. They are an opportunity for families who have lost children in miscarriage, stillbirth or neo-natal and other infant death to come together and grieve corporately. As many of you know, our second son Zachary was stillborn after being diagnosed in utero with Edwards Syndrome (Trisomy 18). We’ve shared some of our storyÂ and reflections on this site. 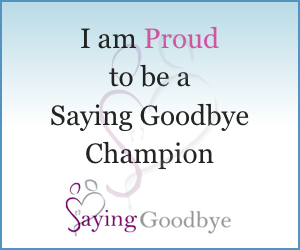 On top of the services Saying Goodbye try to support families who suffer the loss of a child. It’s vital and important work, but so often we don’t hear about it. As we were public and open about our loss we discovered people literally coming out of the woodwork to tell us their story of pain and infant death. Over one in five pregnancies end in child death through miscarriage, still-birth or complications after birth and very often parents and families find it very hard to grieve their loss in a culture that encourages them to “move on”. So, it is an absolute privilege for me next month to be able to share a little of my story and how we found God brought us through undoubtedly the darkest moment of our marriage. Please pray for me as I find the right words to share with those of faith and none as we gather in Canterbury Cathedral to once again say goodbye to the children we loved and lost.